Investment Planning Group invites you to join our monthly meet at NO COST. 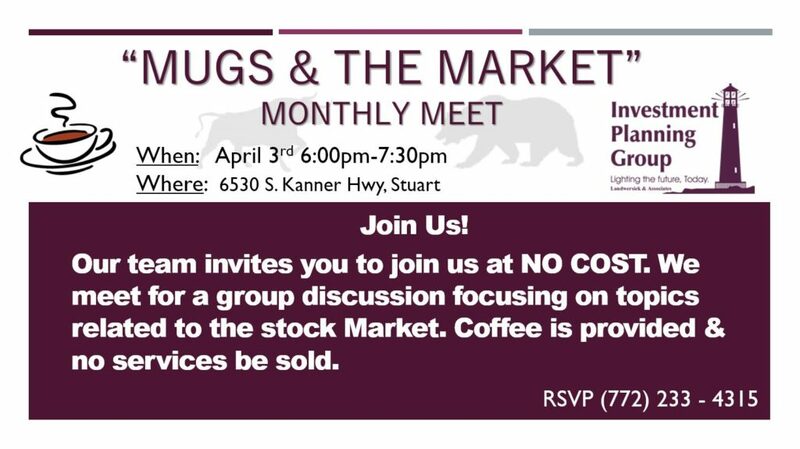 We meet for a group discussion focusing on topics related to the Stock Market. Coffee is provided & no services be sold. Limited space, RSVP Required.